Dwight & Nicole is an American indie-soul band fronted by Dwight Ritcher & Nicole Nelson. Ritcher and Nelson met in Boston when they were both just out of school and cutting their teeth on the local club scene. 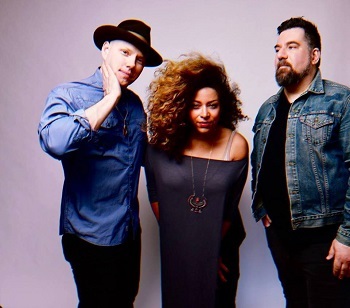 They discovered a shared love of classic blues greats like Albert King and Lighting Hopkins, covering songs by their vocal heroes Mavis Staples, Jimmy Witherspoon and Etta James. All the while obsessing over writing, and honing their own original music. D&N’s 2018 EP “Electric Lights”, recorded with multi-Grammy Award Nominated producer Joel Hamilton (Aaron Neville, The Meters, The Black Keys, Yoko Ono), undoubtedly captures their sound and live energy. They have also have two new, self-released – the shimmering soul-anthem “Wait” and the dusty rocker “Hi-Lo” ahead of the EP – which have begun to introduce their music to a whole new wave of listeners.